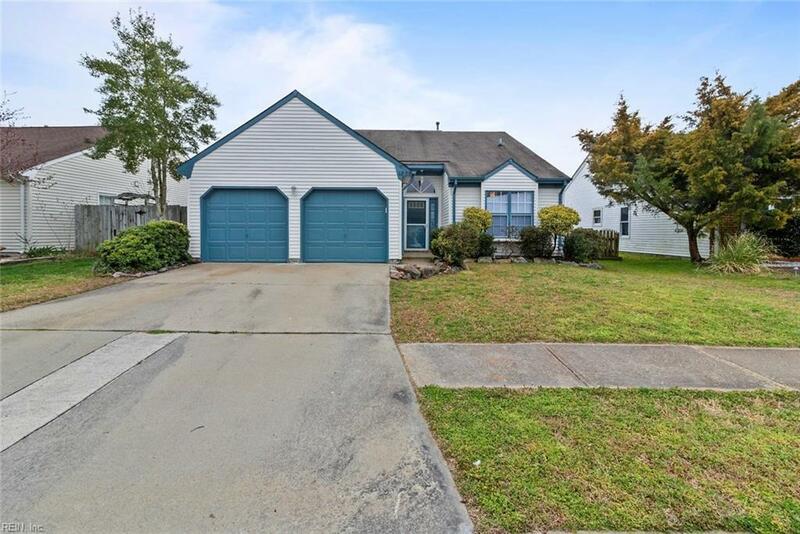 1888 Gershwin Dr, Virginia Beach, VA 23454 (#10246874) :: Abbitt Realty Co. 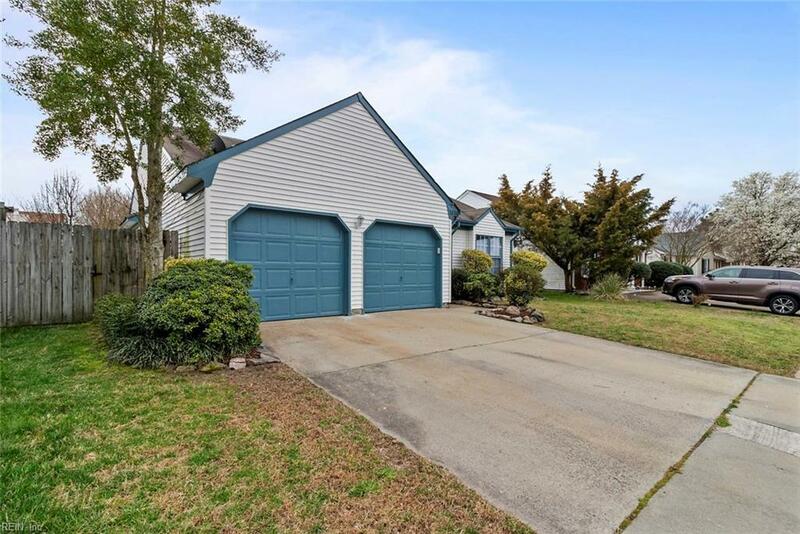 This ranch home is tucked away in the desirable neighborhood of Ocean Lakes. 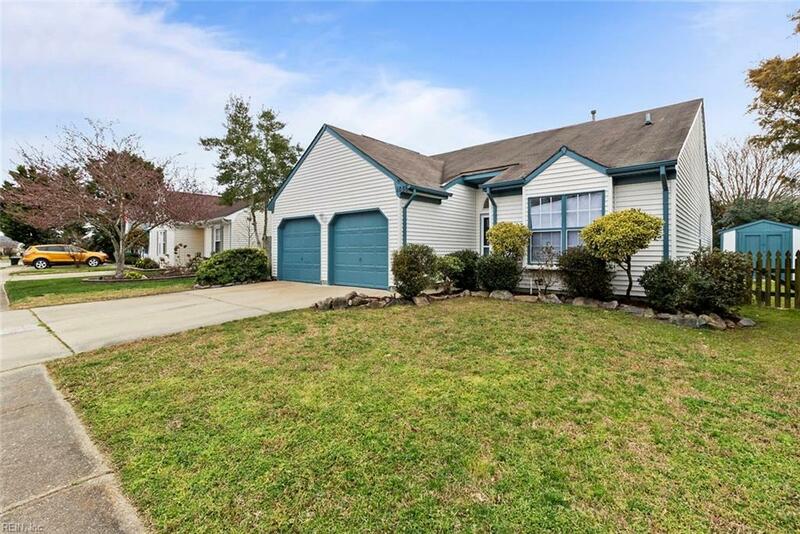 This beautiful home is conveniently located across the road from Culver Park, 10 mins to NAS Oceana and a few minutes to Red Mills Commons for groceries, shopping, Starbucks, & restaurants. 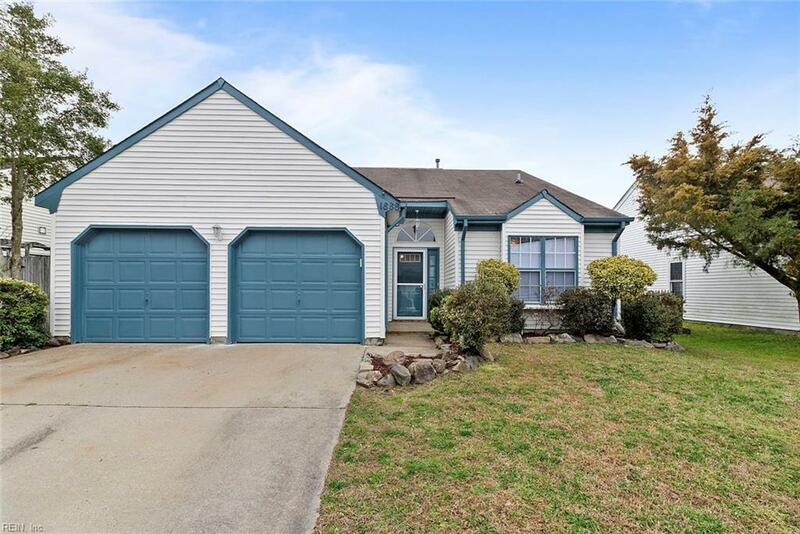 This home offers plenty of living space with 3 bedrooms and 2 baths. Many rooms feel open and spacious with vaulted ceilings and and an abundance of natural light. The kitchen features fresh white cabinets and a modern open space concept that allows a view to the living room. This home has been well-maintained with a new furnace, AC unit, and interior and exterior paint. This 2-car garage home sits on a fenced property with a front and backyard. You can enjoy yourself on the back deck which includes a pergola for entertaining. The inviting backyard has been landscaped with lush greenery for extra privacy.